It’s no secret, in the South, we love a good dinner casserole and for good reason! They are quick and easy to prepare, great for feeding a crowd, can be made ahead, most freeze well and, best of all, they are a true comfort food! 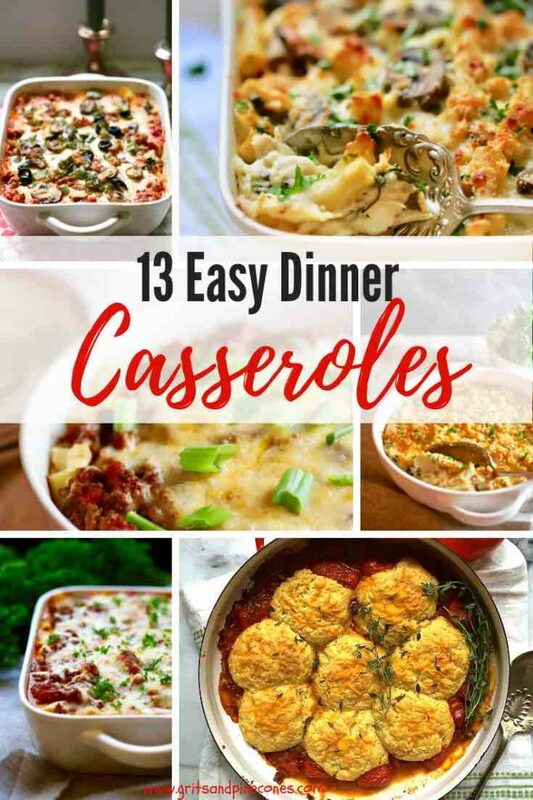 This post contains 13 of my best dinner casserole recipes, including easy chicken casseroles, beef casserole recipes, casseroles that can feed a crowd, vegetarian casseroles, and casseroles that are perfect for sharing with family and friends. 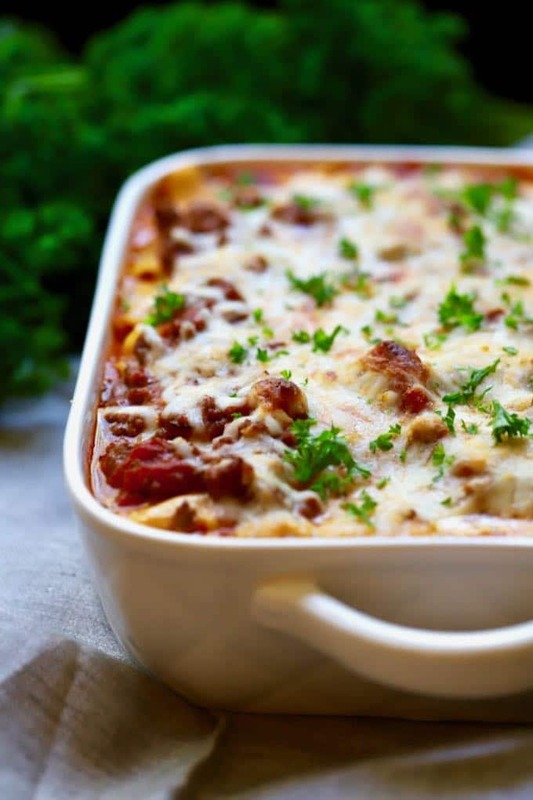 Casseroles are perfect for any time of the year, but they are especially suited for Fall and around the holidays! What a great feeling it is to know you have a delicious casserole or two in the freezer, ready to take out at a moments notice and pop in the oven for last minute company, or when you just don’t feel like cooking. One of my all-time favorites, this yummy, hearty, Easy Make-Ahead Baked Ziti recipe includes ziti pasta with not one but three kinds of cheese, sausage and hamburger meat, and chunks of tomato in a rich tomato sauce. It is a comfort food nirvana! Make-Ahead Baked Ziti also freezes well and is perfect to keep on hand in your freezer for nights when you just don’t have time to prepare a meal from scratch, or when you need a nice meal to welcome a new neighbor or to take to a sick friend. One of the most popular recipes on my blog, Easy Chicken Mushroom Marsala Pasta, is not only delicious but it’s also family-friendly and quick and easy enough for a weeknight dinner! It’s also a perfect make-ahead dinner party recipe. 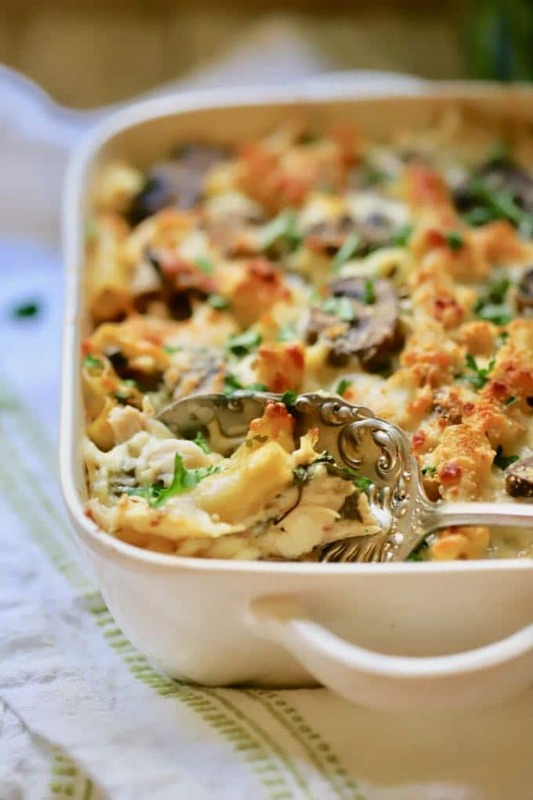 This chicken casserole recipe is the very definition of comfort food at its finest! This Chicken, Sausage, and Wild Rice Casserole will quickly become one of your “go-to” casseroles. 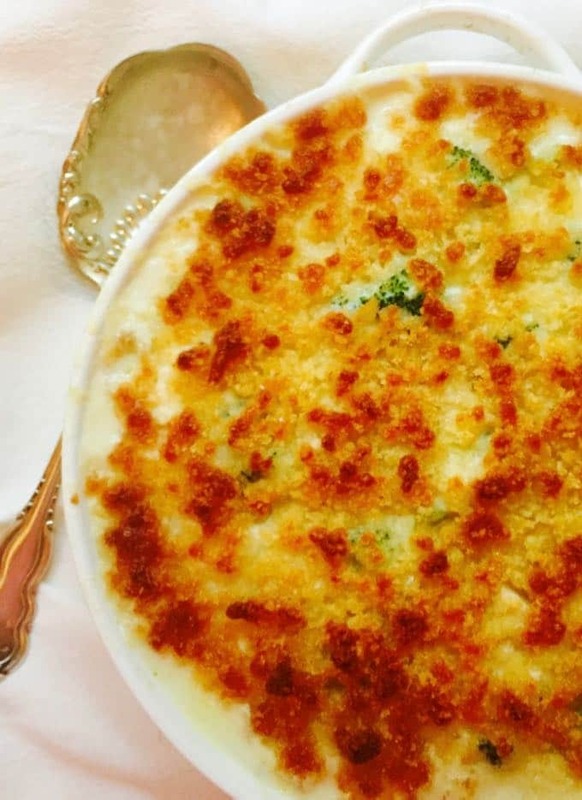 You know the kind, a delectable casserole that you can always count on to turn out perfectly every time you prepare it! My oh, my, Spaghetti Pie! 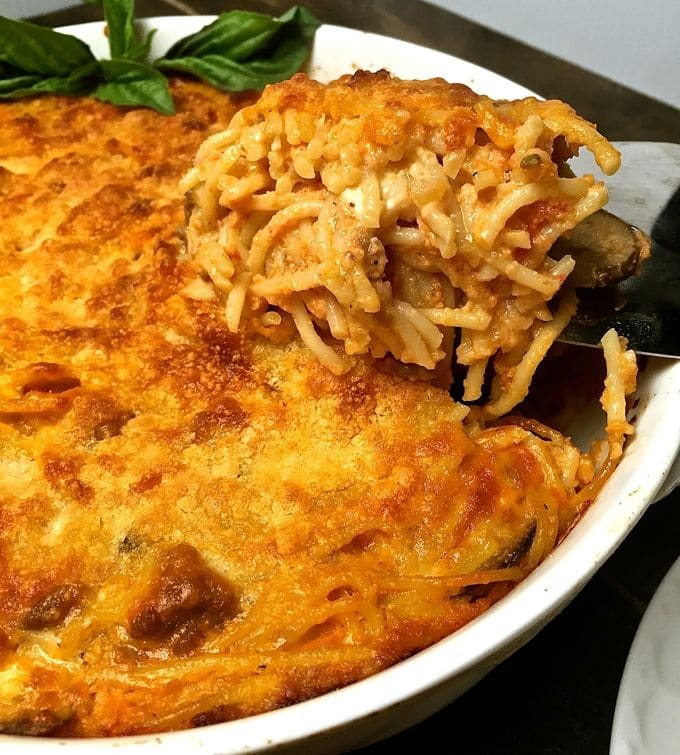 Easy Baked Spaghetti Pie Casserole is a delicious combination of spaghetti noodles, spicy Italian sausage, earthy mushrooms, and black olives, with a rich, creamy tomato sauce full of not one, but three kinds of cheese: fontina, feta, and parmesan! 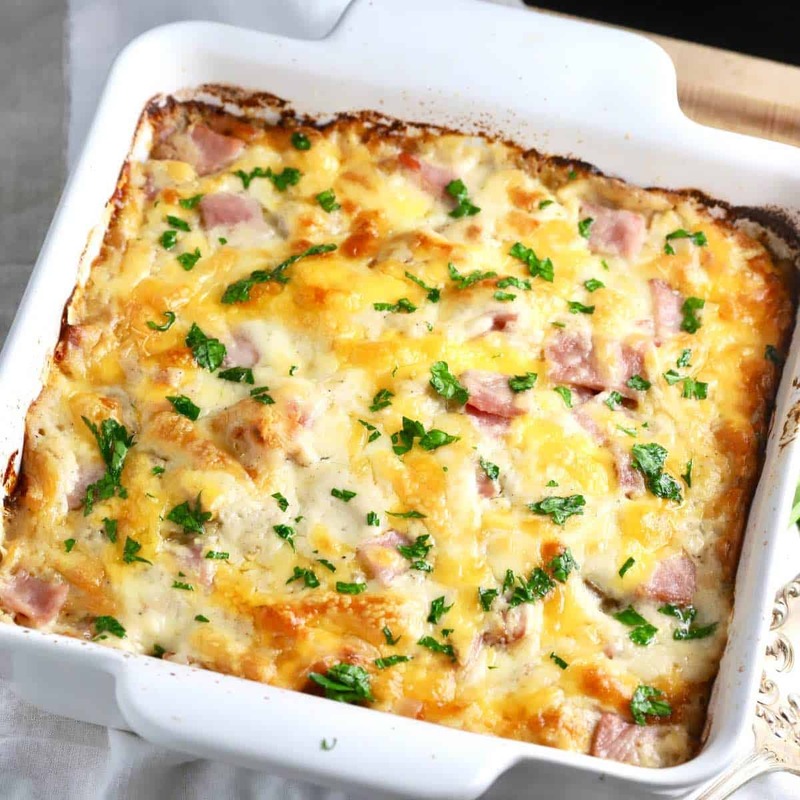 This quick and Easy Au Gratin Potatoes and Ham Casserole recipe is perfect for the holidays, not only because it is delicious, but because it also solves the age-old question of what to do with all that leftover ham? 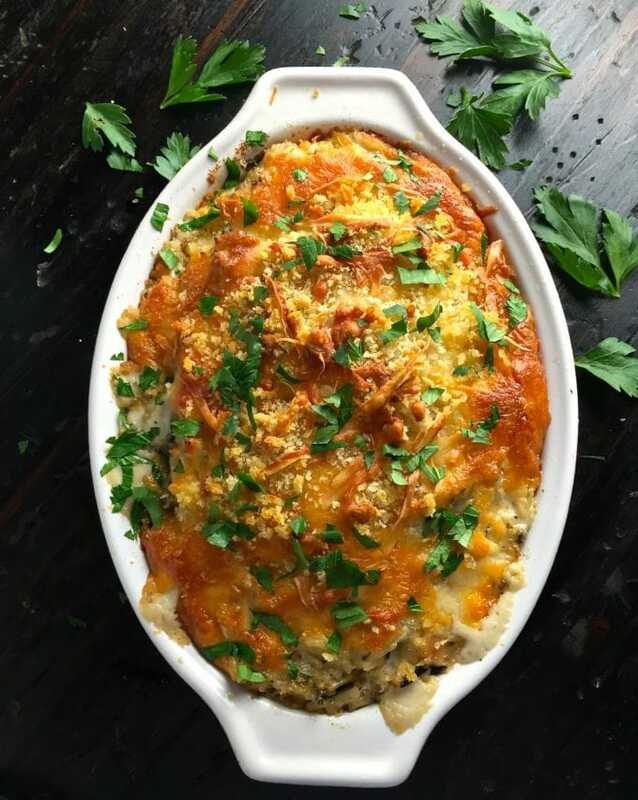 Classic King Ranch Chicken Casserole a/k/a Mexican Chicken Casserole is an easy, make-ahead, delicious entrée loaded with melted cheese, yummy tomatoes, spicy peppers, green chilies and juicy chicken sandwiched between layers of corn tortillas. 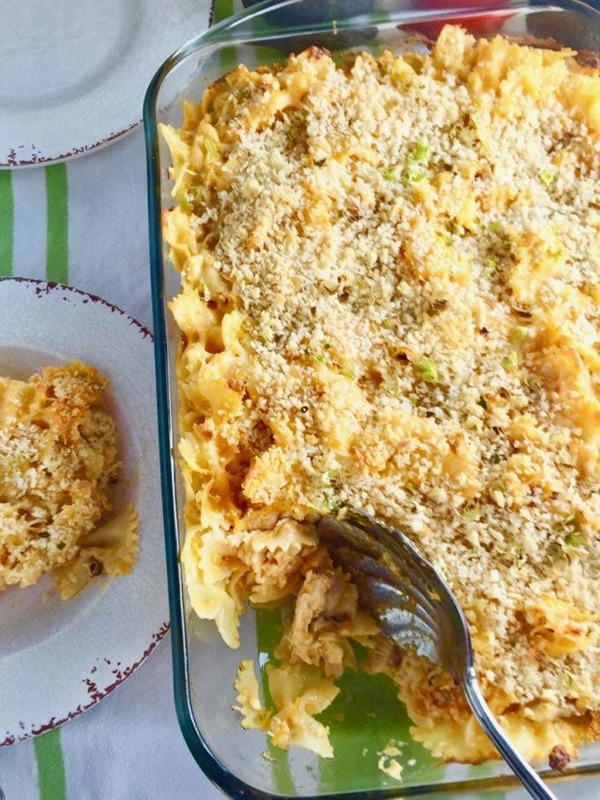 This quick and easy, oven-baked, creamy Buffalo Chicken Mac and Cheese Casserole recipe is deliciously spicy, simple to make, and the ultimate comfort food! 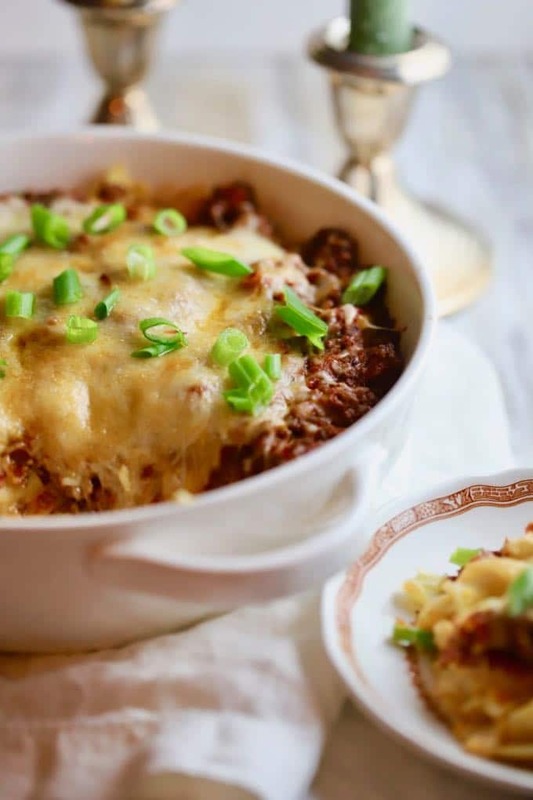 Easy Cheesy Ground Beef Casserole is a hearty, freezer-friendly, kid-friendly, one-pan meal, which is perfect for weeknight dinners when you are short on time! 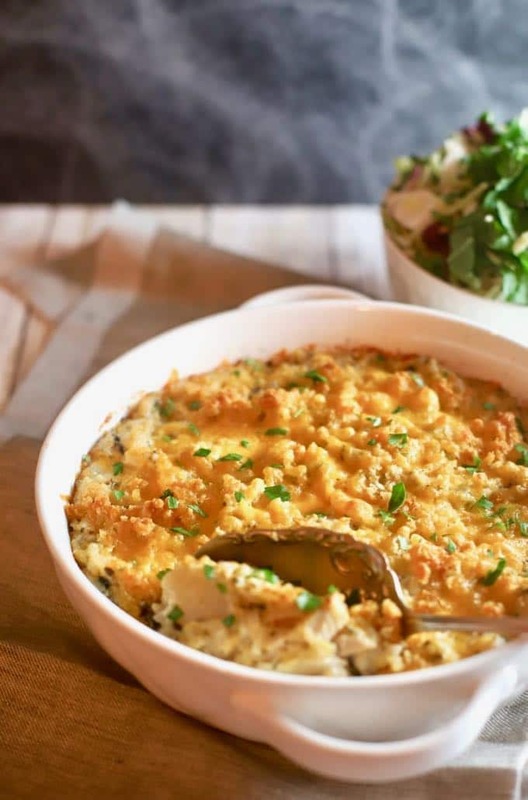 A Southern favorite, creamy and flavorful Easy Chicken and Wild Rice Casserole is full of tender chicken, cheese, crunchy water chestnuts, and a blend of tasty seasoned white and wild rice. Easy Southern-Style Chicken Divan is an iconic southern casserole that has been around for many years. In fact, there was a time many years ago when this delicious dish was served at almost every bridal or baby shower, neighborhood potluck dinner or church supper. It was also one of the first casseroles that every young southern bride learned to make and have in their arsenal of “company” dishes. If you are looking for easy dinner ideas for your family, you are in the right place! 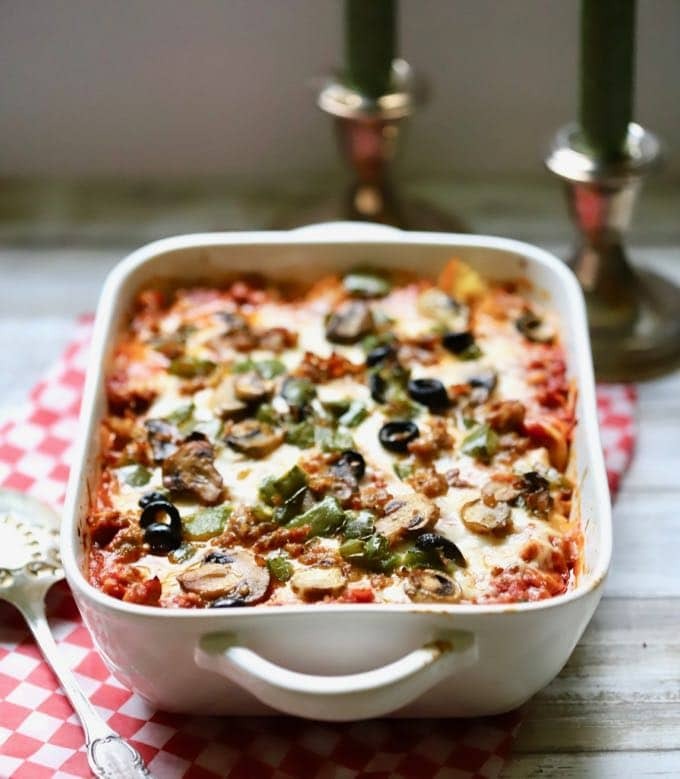 My Easy Supreme Pizza Casserole is a kid-friendly meal that both your big and little kids will love, and you will too! 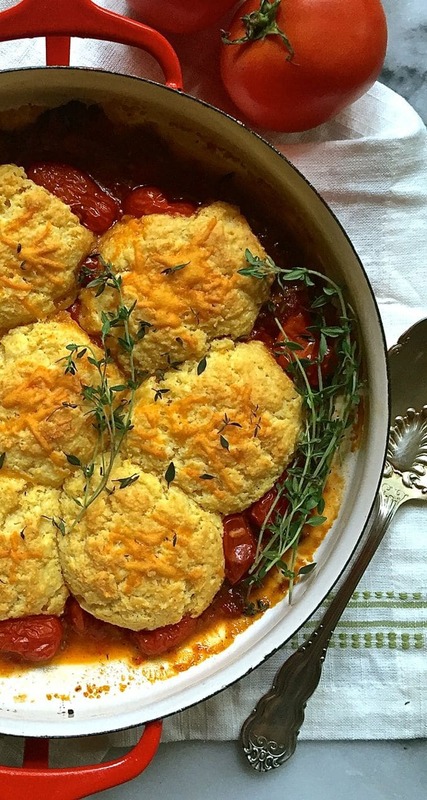 I can’t wait for you to try this delicious Tomato Cobbler with Cornmeal-Cheddar Biscuits recipe. 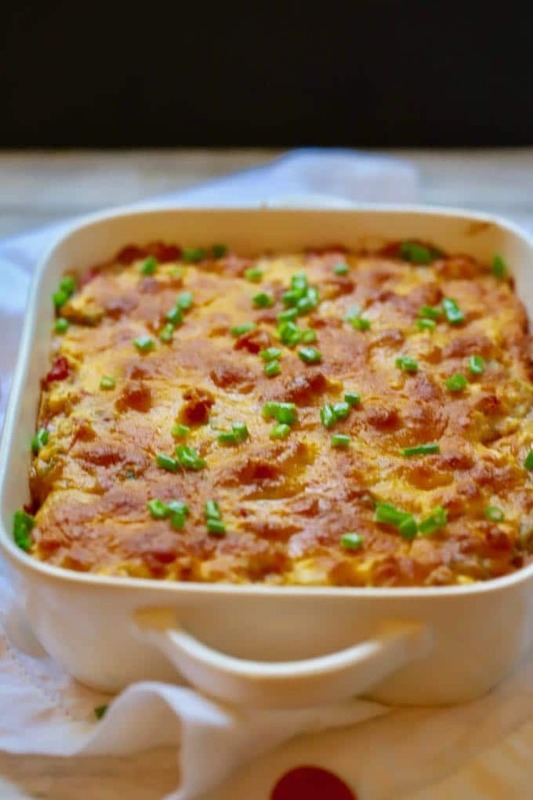 I know when you hear the word cobbler, most of you will think dessert, but this savory casserole is perfect as a meatless entree, vegetarian casserole, or even as a side dish. 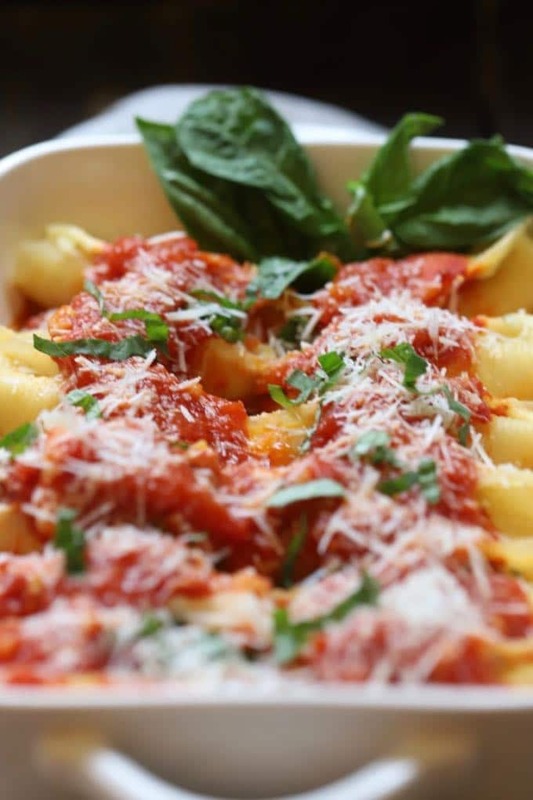 Last but not least, Easy Stuffed Shells with Marinara Sauce is a delicious make-ahead pasta casserole with not one, but three kinds of cheeses: ricotta, mozzarella, and parmesan, combined with the most wonderful homemade marinara sauce ever! 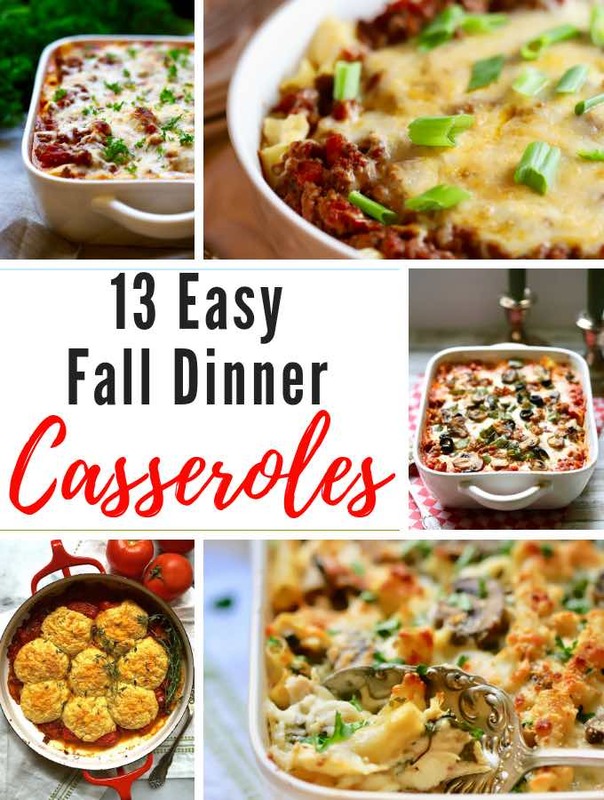 Have you ever seen so many delicious looking casseroles? I hope you try at least some of these casserole recipes and think you’ll love them as much as we do! If you make any of these recipes, please be sure to rate it and leave a comment. I love hearing from you! Also, please follow me on Pinterest, Facebook, and Instagram. To be the first to receive notifications of new recipes by email enter your email address here! Thank you so much for visiting Grits and Pinecones! Sharon, you have the best collection of recipes on your site. And what could be better than one-pan casseroles? I love how convenient and easy they make life and meal planning. I’m looking forward to checking out all of these. Hello, I'm Sharon, blogger, recipe developer and photographer for Grits and Pinecones. I’m all about creating delicious recipes with a Southern flair that are quick, easy and PERFECT to share with family and friends. Nothing fussy or complicated, just “go-to” dishes for the everyday home cook. Don’t miss any Recipes! Subscribe to Grits and Pinecones! Enter your email address to subscribe to Grits and Pinecones and receive notifications of new recipes by email.